If you know this product and are interested in it, we offer the way to buy an MX Android 4.2 AML8726-MX directly, or continue reading to know in depth. Let’s see this MX Android 4.2 AML8726-MX a little more in detail and comment those most remarkable aspects of this device. Specifications that today does not seem much, but that once met the needs of enough people. Consider now the most important characteristics of this product. 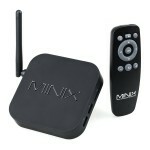 The MX Android 4.2 AML8726-MX comes to us in a well organized box, where we can find first the device well protected. Raising the separator, we can find the other components, such as remote control (batteries not included), AV cable, power adapter and user manual. This is where we miss the presence of a HDMI Cable . 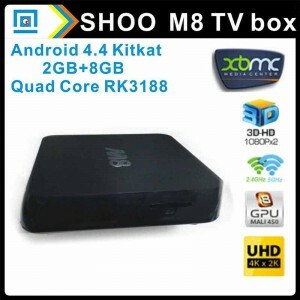 The device MX AML8726-MX Android 4.2 has the typical form style “box”, a square small (11.7cm x11.7cm x2.6cm). On the right side we find a slot for SD / MMC memory cards and 3 USB 2.0 ports. On the back are other connections. From left to right we find a USB 2.0 port (Total 4 USB ports), SPDIF connection, A/V connection (which curiously is hosted reset button to update the device), HDMI connection, Ethernet connection and power connection. As you may have noticed, this MX Android 4.2 AML8726-MX does not have the latest version of Android available, but enough to have a good power and effectiveness in our applications and games. Natural video format is 720P, but allows selecting 1080P, are 720P rescaled. 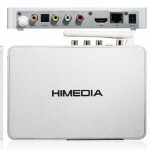 For audio we have multichannel output via pass through both SPDIF to HDMI. If we use the MX player in hardware so we can get correct results 720P and 1080P long as they are not files 40Mbps on. Both the DD AC3 and DTS audio are correct. With the processor integrated in MX Android 4.2 AML8726-MX will have a good overall performance, not as fast as modern models of the market, but with good fluidity and not notice feeling sluggish. 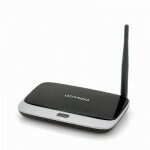 The MX Android 4.2 AML8726-MX allow us to surf the net or play store seamless with your Wi-Fi 802.11 b/g/n. The connection is immediate. As for Ethernet not we any problem, but we have to activate it manually, because not disconnect the Wi-Fi by itself. The MX Android 4.2 AML8726-MX has only 1GB of RAM, something lacking if we try to play powerful games. 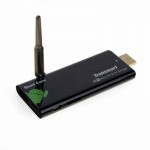 Its favorable note are the 8Gb of internal memory, which leaves us with the partition approximately 5.3GB space. Also do not forget that we have a fourth USB connection if you want to add an external disk. 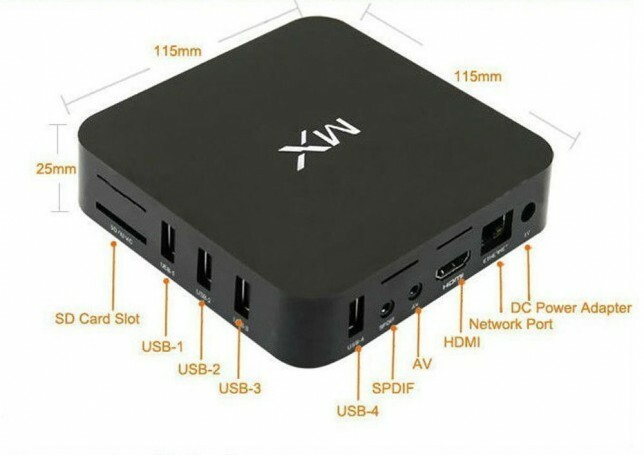 The MX Android 4.2 AML8726-MX has 2 types of desktop, both well functional and whose bars are hidden without any problem playing movies, etc. Highlight the pointer size which is quite large and easy to find on the screen at a distance. The MX Android 4.2 AML8726-MX with its preinstalled Media Center application, will not give us trouble using DLNA. Regarding Miracast with its application Aml Miracast surely we can connect to other devices but not with Samsung. The AirPlay has disconnection problems even recognize them. Surely some updated ROM could correct these problems. 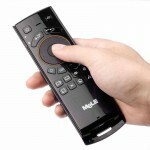 The MX Android 4.2 AML8726-MX allow us to turn our TV on Fun Center, to see our films, series, music and play our favorite games from Google Play. 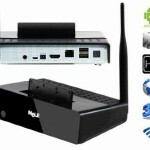 It will also enable to surf the net, watch multimedia content, even videoconference. With the MX Android 4.2 AML8726-MX we can see, with good quality audio and video, our stored movies, either USB stick or external drive. 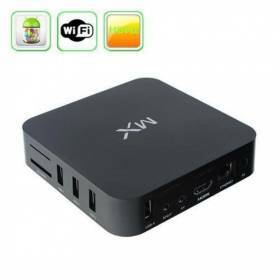 With its XBMC application can look very different streaming content, very successfully, thanks to its various add-ons. Thanks to DLNA technology, we can share media files with those networked devices. 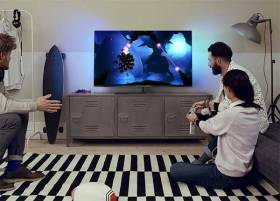 We can see its contents in our TV without being glued to a tiny little screen. The MX Android 4.2 AML8726-MX allow us to do videoconference with a good quality and connectivity, with applications Skype style, just connecting a webcam. Because MX the Android 4.2 AML8726-MX recognized correctly pads like the Xbox 360, we can play in a comfortable and fun way. The MX Android 4.2 AML8726-MX is a device that meets the more general needs of the market. It has a lot of connections, being the model chosen by many companies, has a pretty good support. On the Internet you can find many resources to take full advantage of your MX Android 4.2 AML8726-MX. Here we will be adding applications, plugins or ROMs that we consider most important. If you want to do a root MX Android 4.2 AML8726-MX you can go into here where will explain step by step how to root your device. As always recommend only do it if you really need. 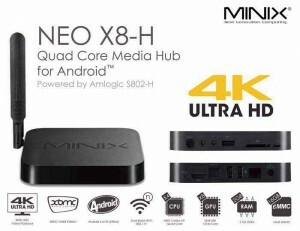 Where to buy an MX Android 4.2 AML8726-MX? The best place to MX buy an Android 4.2 AML8726-MX is here, where they offer excellent service to the customer and within days you will have the device in your home. Also you can return it if something is wrong or it not meets the expectations you had of him.